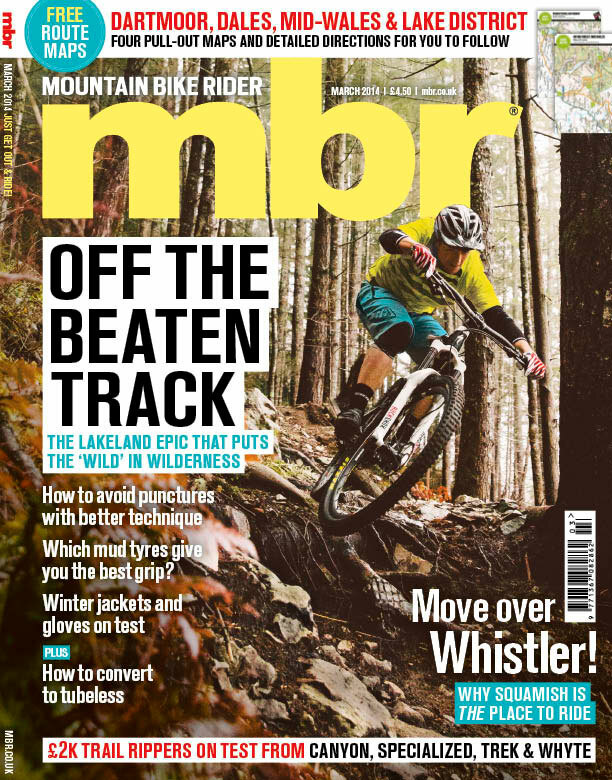 The Lake District is overflowing – not literally, yet – with great natural trails. 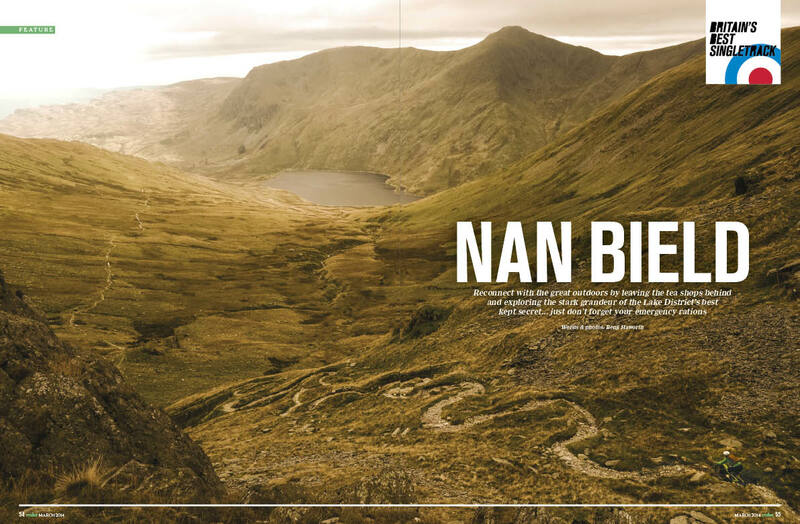 Few would argue that Nan Bield is among the best of those rides. 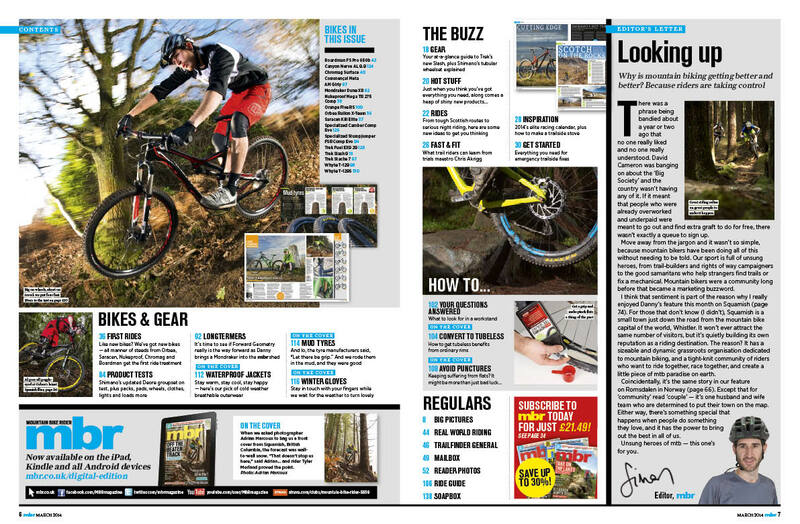 Benji Haworth spills the beans on this must-ride singletrack. 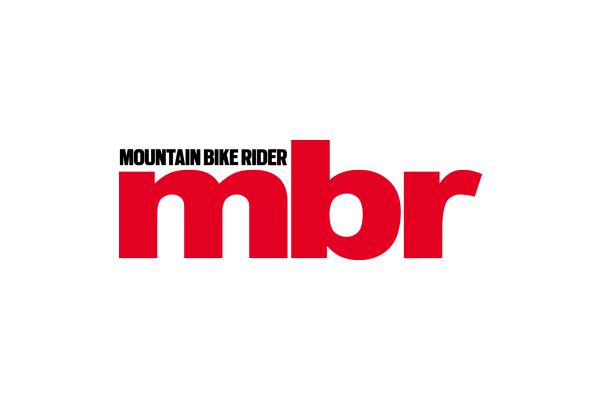 29ers are easier to design with shorter travel, meaning that there are a raft of impressive 120mm options at the £2,000 mark. We pitch Canyon’s Nerve AL 9.9 against Specialized’s Camber Comp Evo, Trek’s Fuel EX7 29 and Whyte’s T129S in a fierce big wheel battle. Heading overseas is looking increasingly attractive at the moment, hence we’re suggesting two cracking stamps in the passport this month. 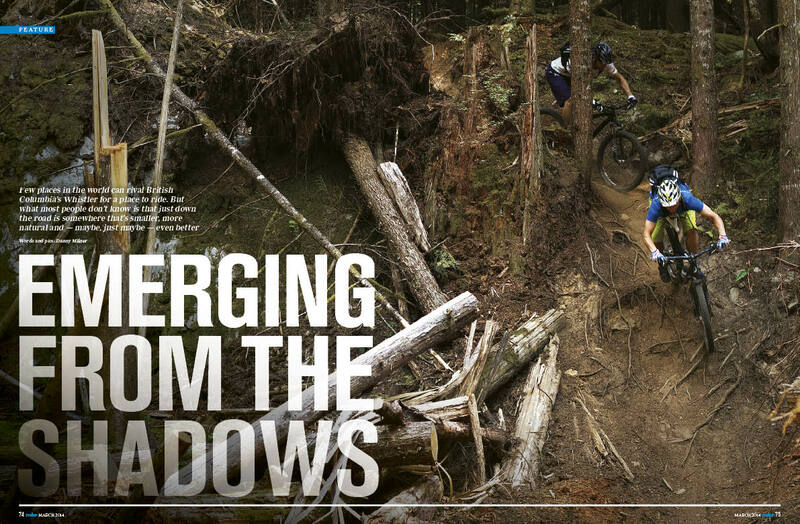 For many years Squamish has been overshadowed by it’s neighbour – Whistler – but now it’s earning a reputation for amazing trails and a more down-to-earth feel. 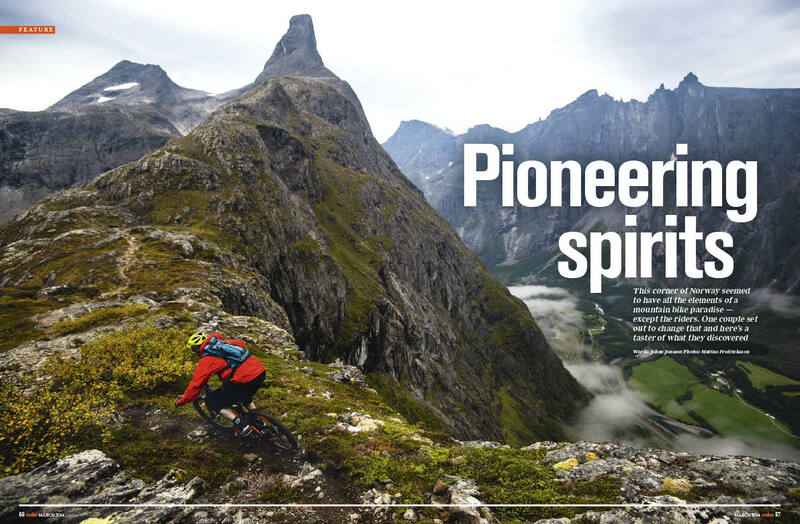 Meanwhile, in Norway, a stunning landscape is being introduced to biking for the first time by a pioneering couple. Mondraker‘s radical Forward Geometry Dune XR joins our longtermer fleet. Elsewhere, Ben pits the Orange Five RS 650b against the classic 26in Five. 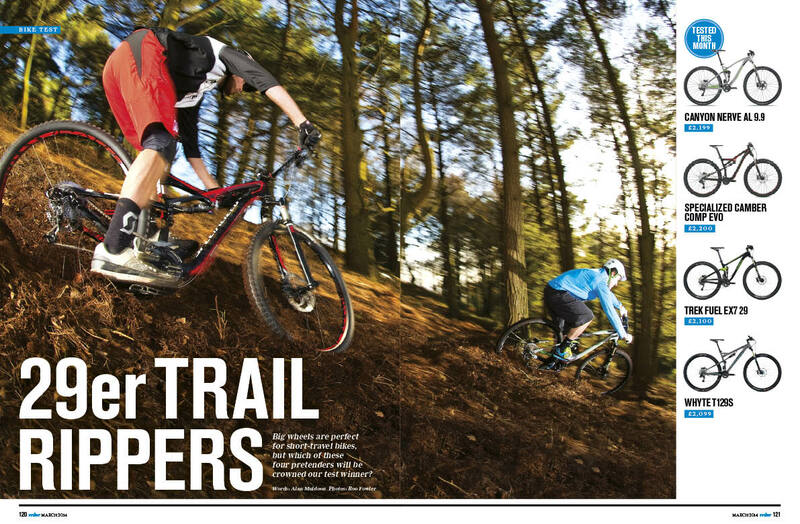 A stack of great new trails are due to open this year. We give you an overview of the where and when. Chris Akrigg shares the secrets of precision control. Six tips to save you from most trailside emergencies. Kiss goodbye to punctures with good technique. Chris Ball shows you how. Shimano’s new Deore groupset tested. Winter kit tested, including lightweight waterproof jackets, mud tyres and winter gloves. 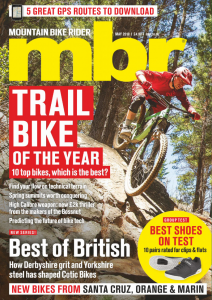 The latest batch of new bikes get the first ride treatment — get the lowdown Orbea’s Rallon X-Team, Saracen’s Kili Elite, the Nukeproof Mega TR 275 Comp, Chromag’s Surface and the Boardman FS Pro 650b. Plus we’ve got four great pull-out route guides in Yorkshire, Mid Wales, Dartmoor and the Lake District.